For the past few weeks Brexit has dominated the headlines, news programmes and daily conversation. As the county watches patiently waiting for more news on a good Brexit deal, businesses like ours continue to function as usual in Shepherds Bush. It’s true the property market has softened and the current situation is not ideal, but the world hasn’t stopped, instead our vendors have recognised that the market has cooled and have reacted accordingly. There is no magic wand when times are tough, flexibility, knowledge and resilience are even more important to the property market. The shortage of housing stock hasn’t gone away overnight and London hasn’t stopped attracting investment interestingly enough employment remains stable, despite fears of a down turn. Those that are buying currently are taking the sensible approach of looking longer term and generally speaking getting on with life. I do think in a few years’ time we will look back at the past few years with incredulity and wonder what it was all about. There will be some fantastic opportunities over the coming weeks and months to those who look for them, especially individuals who wish to trade up or relocate. Stamp duty is favourable for first time buyers and prices are currently attractive to young professionals looking to purchase their first home. Should the proposed divorce deal with the EU get Parliamentary backing we could well see a resurgence of buyers meaning prices firming up in the short term. The rental market is very active with those who might have considered buying now looking at renting over the course of the next 6 months. If wouldn’t take much for these people to return to purchasing instead substantially increasing demand and firming up prices. According to the Mortgage Advice Bureau the overall the number of those buying their first home has been the highest before the credit crisis of 2008. Good advice and practical professional guidance every step of the way has been Kerr and Co’s strength especially in tough times. Every sale will have issues which need resolution and situations can be avoided if you listen to your professional established agent. In unsettled times it is even more important to invest in knowledge and reputation, don’t be fooled by agents offering style over substance or online companies whose only interest is up-front fees, rather than and credible and real service. 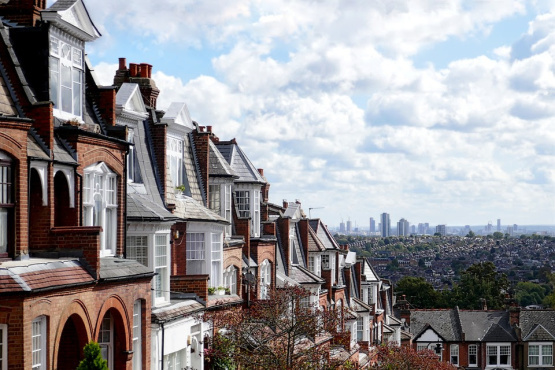 If you need an honest up-to-date valuation of your Shepherds Bush or Hammersmith home and advice on your next steps give us a call on 0208 743 1166 or email us on nfo@kerrandco.com.